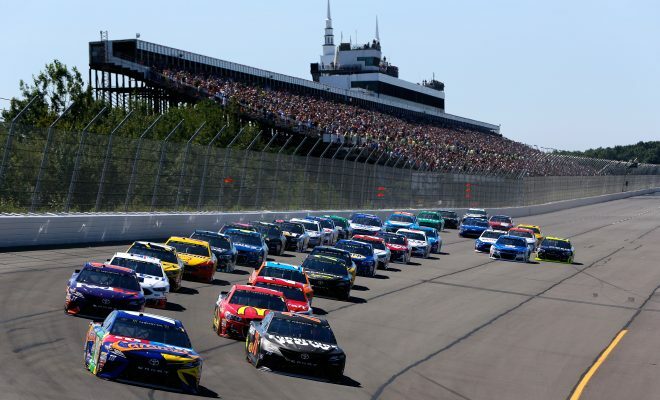 The Monster Energy NASCAR Cup Series is headed to Pocono Raceway for the Pocono 400 our Sarah Handy breaks down her picks and who you may want to pay attention to this weekend. Ryan Blaney: Blaney is the defending race winner having won his first Cup race at Pocono last June when he was in the No. 21 for The Wood Brothers. While he didn’t fare so well when the series returned to the Tricky Triangle last August finishing a disappointing 30th his other two finishes were decent ones. 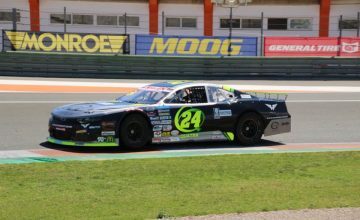 In his only other two Cup starts at the track in 2016 at the he finished 11th and 10th respectively. He is one of my top picks heading into Sunday’s Pocono 400 because overall, he has run very well at Pocono and his win certainly doesn’t hurt his chances either. If Blaney can’t go back to back I definitely see him at least leaving with a top-10 finish but I’d keep my eye on this young gun for sure. Denny Hamlin: From the time Hamlin joined the cup series you couldn’t count him out at Pocono Raceway. Back in 2006 not only did the Joe Gibbs Racing veteran driver win his first cup series race at the Tricky Triangle but he swept both races at the track that season. However, Hamlin hasn’t won at the track since June of 2010 and before that it was August of 2009. In his last four starts he hasn’t finished worse than 14th and does have an average finish of 11.79. Even though he hasn’t had the success here that he saw in his younger racing days when in a span of three seasons (2006, 2007, 2008) he hadn’t finished worse than sixth he is still my other top pick for Sunday’s race. 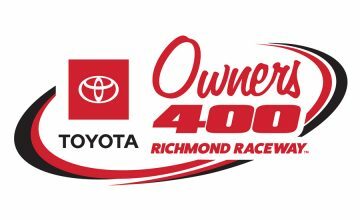 Hamlin is due for a win and it could very well come on Sunday, he could surprise the field and earn his 5th MENCS win at the Tricky Triangle. Consistency and not speeding on pit road which has plagued Hamlin this season will be key. Jimmie Johnson: It’s been clear Johnson and his 48 team haven’t had the success they were accustomed to seeing for years. However, even with three career wins at Pocono and an average finish of 12.13 it hasn’t been one of Johnson’s best tracks and his statistics at the track show that. In his last four starts at the Tricky Triangle his best finish is 16th which came in the August 2016 event. Johnson’s last win at the track came back in June of 2013. Johnson is due for a win but with the way many other drivers have ran this season a win will be tough for the seven-time champion. If anything, I see Johnson leaving Pocono with a top-15 finish but hopefully I’m wrong and he can at least crack the top-10. Austin Dillon: The reigning Daytona 500 Champion can certainly surprise many and have very consistent runs week in and week out. However, Pocono statistically isn’t one of his best tracks. Dillon’s average finish in eight starts is 18.50 and he has yet to earn a top-10 finish at the track. In both races last season, he had finishes of 13th (June) and 21st (July). His best finish at Pocono is 13th which has come on three separate occasions in his career so far. I look for Dillon to leave Sunday’s event with a top-15 finish. Chase Elliott: In four starts at the track Elliott has an average finish of 13.75 with his worse finish being a 33rd place result in August of 2016. He’s coming off finishes of 8th (June 2017) and 10th (August 2017) last season. Elliott has over all been the most consistent Hendrick Motorsports driver this season and I look for that to continue this week. I’d be surprised to see him walk out of Pocono with anything worse than a top-10 finish. Kasey Kahne: Even without the Hendrick power he had for years Kahne could very well leave Pocono with a solid top-15 or top-20 in his Leavine Family Racing No. 95. Pocono is a track that Kahne has seen success at in his cup career. In 28 starts he has two wins with his last win at the track coming in August of 2013. While his average finish is 18.39, he’s coming off an 11th place finish when the series visited the track last August. Kurt Busch: In 33 starts at Pocono Busch has three victories to go along with an average finish of 14.15. In his last four starts he has one win (June 2016) and hasn’t finished worse than 13th. Busch along with all his Stewart-Hass Racing teammates have run very consistently this season. In this race last season Busch finished 4th and I look for him to have another solid finish. If the 2004 Nextel Cup Series Champion finishes worse than a top-10 finish in Sunday’s event I would be surprised. Who do you think will win Sunday’s Pocono 400? Let us know in the comments below.